How do you solve a mystery that took place 15 years ago? Through 15-year-old letters with a long lost pen pal of course. 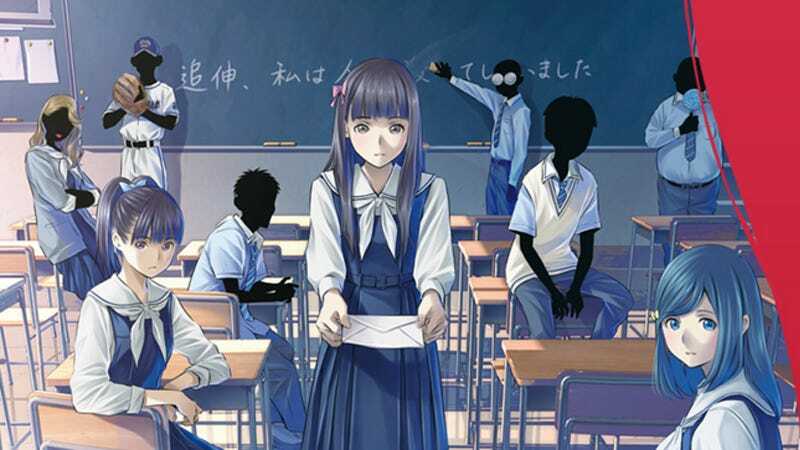 On Tuesday, Japanese game developer Kadokawa Games announced a new project; an adventure game series called the Kadokawa Game Mystery. Each game in the series will focus on a different region of Japan. The first, called Root Letter, is a murder mystery from the past that takes place in the Shimane prefecture. I have to pay for my crime. In order to find out what happened, you decide to visit Aya’s home in Shimane, but learn that her house burned down 15 years ago. Your only hope for uncovering the truth lies with Aya’s old classmates and her letters to you. The game is divided into two parts, the simulation part and the adventure part. In the simulation part, you go back over your letters between you and Aya where you can choose what you wrote to her 15 years ago. Depending on your choices, how she felt about you changes and the story will also change as a result. The game has multiple endings depending on how you remember writing to her. In the adventure part, you travel around the Shimane prefecture, tracking down Aya’s classmates and people mentioned in her letters to find out what happened. You can use the information about people in Aya’s letters to your advantage when questioning them. The game takes a rather creative angle with its setting, having the game take place in two different times simultaneously and having one affect the other. It also adds to the emotional drama of knowing who people were, but not who they’ve become. Then again, did you really know them at all? Whichever it is, I’m fascinated either way. Root Letter is slated for release on the PS4 and PS Vita. The game is scheduled for release in 2016.